According to the latest census, the country has 634,982 inhabitants. The vast majority of them are Bhutanese, while ethnic Nepalese and indigenous tribes are also found in the region. Two-thirds of the population practices Ningmapa Buddhism, while the Nepalese will more likely practice Hinduism. The Christians of the population do not comprise more than 1% of the population. 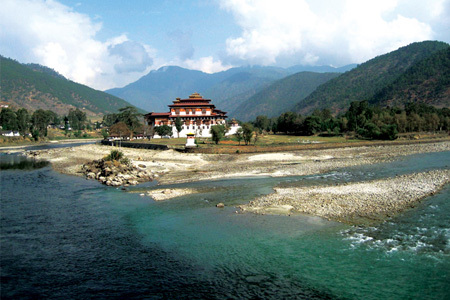 Bhutan is known as the "Land of the Thunder Dragon." It is a place of extreme diversity, and it truly is a place like no other. It is probably one of the most expensive countries in the world to visit as an average tourist here will spend almost $200 per day. At the same time, buying cigarettes or alcohol is illegal in this fascinating country. The country is considered to be a place for the jet set; backpackers are a rare or non-existent phenomenon, while religious tourism has skyrocketed in the last few years. As a typical Himalayan country, the culture of Bhutan is predominantly influenced by Buddhism. The geographical isolation of the country has helped it resist cultural alterations and influences. The main policy of isolationism in culture and economy has formed every part of the social and cultural life. 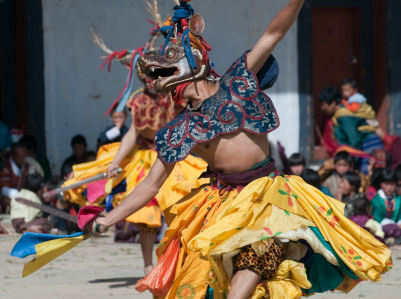 This way, Bhutan still features aspects of the culture that have their origin in the 17th century and earlier. The Kingdom of Bhutan is a country lying at the feet of the Himalayas, bordering China, Tibet, India and Nepal. Myanmar and Bangladesh are also nearby countries. It is a compact nation, featuring a territory of 46,500 square kilometers. It is also called the Switzerland of Asia, not only because it is expensive, but because its shape compares to that of the European country. Ten per cent of the overall territory is covered by glaciers, which are the most important source of water for the country. The history of Bhutan starts somewhere in the Ice Age, although little is known about the early years of the country. Its early history though is full of myths and folklore. Gods and beings with immense and supernatural powers dominated the area. Rinpoche is one of the most well-known of the lot, who is supposed to have visited the country on a flying tiger. There are several myths about ghosts and evil creatures that destroyed temples and the angels that rebuilt them. The main historical records though begin with the introduction of Buddhism in the seventh century. Bhutan is one of the few countries in the world that has never been occupied by any other nation or country. It has been a kingdom since the ninth century. 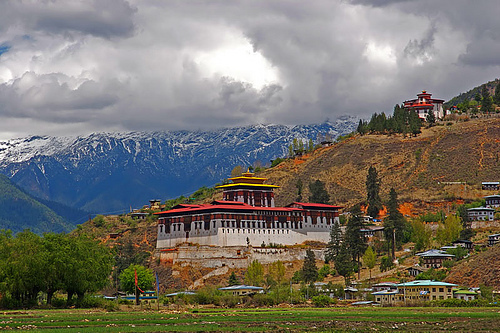 The Kingdom of Bhutan is a country with numerous tourist attractions. 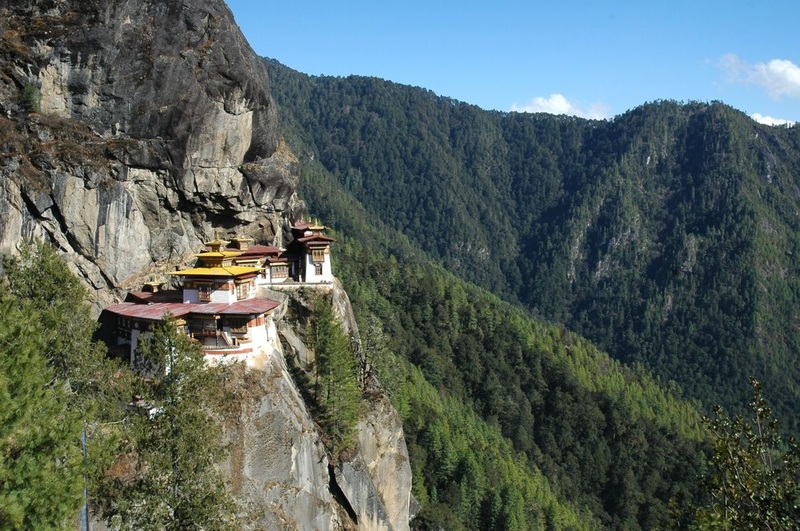 The Taktshang Goemba is the famous monastery of the tiger’s nest, perched on a rock face. 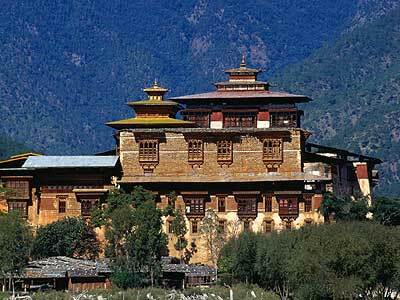 It is an impressive monastery and a sacred place for the Bhutanese. Bhutan is not famous for its nightlife. In fact, there is virtually no nightlife, except for the bars and restaurants of the big, international hotels. The nightclubs of the country are traditional and far different from anything expected by a Western visitor. However, the tourists can find some pubs and restaurants with live music. It is safer though to opt for the hotel bars. Bhutan is the only country in the world where smoking and tobacco are completely prohibited. Visitors cannot buy tobacco anywhere. The modern culture of the country is affected by the ancient culture, which is obvious in the music, literature and painting. Monasteries and religion are the main themes here. The people of the Kingdom appreciate and preserve their cultural and religious heritage above everything else; therefore, tourists are not free to wander around the country as they like. Most of the monasteries and temples are off limits to the visitors, as they are considered to be holy institutions. The Bhutanese cuisine features the same characteristics as every Himalayan cuisine. The main characteristic here is rice, a staple that comes in every meal. The predominant flavor though is chilli. It is not considered a compliment as in Western cuisine, but it is a main dish and is eaten raw. Chilli and cheese are among the top flavors in the country, while all vegetable and meat dishes come with both rice and chilli. When tourists visit restaurants, they should make it clear that they do not want the food to be too spicy, because the Bhutanese cuisine is extremely spicy. Milk and yogurt can provide some relief, but the piquancy of the food can be a problem for some. The local cuisine is of course predominant in the area. Pork, beef, chicken, mutton and meat of yak are quite common here, while stews and soups of chilli are offered as starter. One of the most familiar dishes is the Ema datchi which is made of chillies and cheese and is extremely spicy. Western tourists will be able to find international cuisine at the restaurants and dining outlets located inside bigger hotels. Outside the capital city though, they should be very careful when ordering food.